Republican Mark Obenshain and Democrat Mark Herring met in the first debate of the election this morning in Virginia Beach. The event was a part of The Virginia State Bar’s Young Lawyers Conference and Cathy Lewis, of WHRO, served as moderator. The hour-long debate gives an early glimpse into the tone that this contest will likely take over the next almost five months. Herring came out swinging, drawing a sharp contrast between himself and Obenshain. The latter seemed a little taken aback by it. Between opening and closing statements, the two candidates took five questions on a wide range of topics. Some answered were better than others and some – are the tolls on the Portsmouth tunnels constitutional? – not answered at all. There were hints of what is to come, issue wise, as the campaign season wears on. 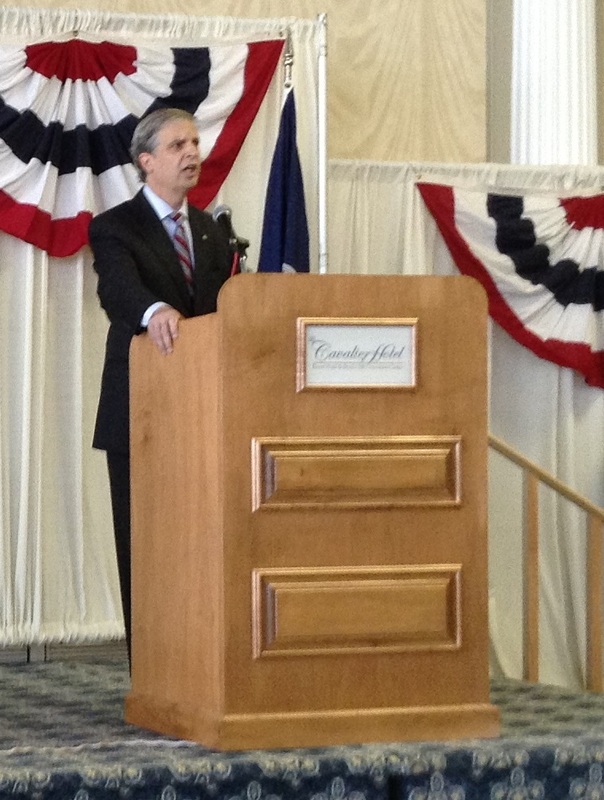 Obenshain sounded as if he wants to leave the social issues alone, focusing on being the state’s lawyer. 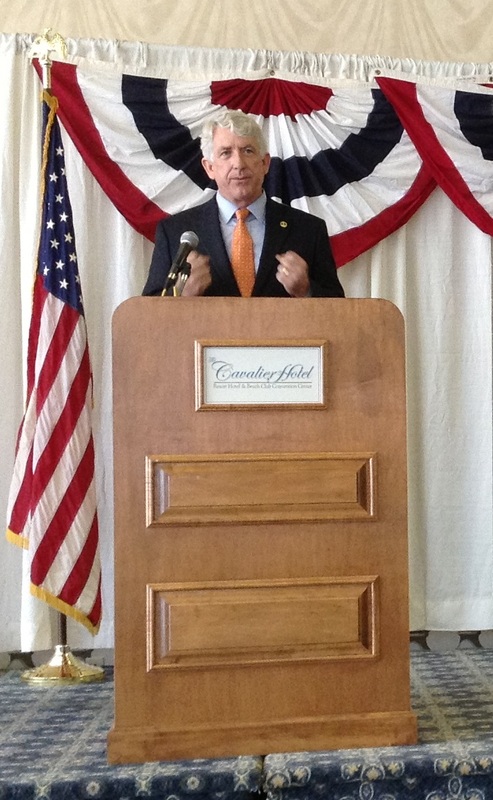 Herring wants to focus on removing the politics from the AG’s office. But the hints were a little hard to come by: Both men seemed to still be in primary mode, throwing out red-meat partisan statements. I believe that in our colleges and universities, in workplaces, in state government, in the attorney general’s office, we cannot discriminate against Virginians on the basis of sexual orientation or other irrelevant bases or grounds. And I will make that commitment that I will not discriminate against Virginians on those irrelevant grounds. Obenshain was mum on whether he would do anything to overturn the letter current AG Ken Cuccinelli sent to Virginia’s colleges and universities, advising them to rescind policies that ban discrimination based on sexual orientation. The letter prompted Gov. Bob McDonnell to issue Executive Directive One, which relies on the Equal Protection Clause of the U.S. Constitution. Unless I’ve missed it – and that’s entirely possible – I think this is a pretty big deal. Of course, Herring is still better on this issue today. After having supported the M-N Amendment, he is now against it and supports marriage equality. I hope to be able to see these two guys debate again. I know that Hampton Roads doesn’t get much love from statewide candidates, but I’d like to see how these two sharpen their messages in the coming months. One thing is certain: there are serious differences between the two and how they interpret the use of the AG’s office. Virginia voters should really watch this race. Interesting. Is there a recording of this debate online? If so, can you provide the link? At which point, journalists, and everyone else, should decline to attend. Those vying for public office should not have debates that are “not for public consumption” if they wish the public to vote for them. Take it up with those vying to host debates. The first gubernatorial debate will be held in similar circumstances, far from the prying eyes of the public. Well, once again neither one of these candidates talks about anything but what they think some people want to here. I gurantee that they will be forced talk about other issues. Stay tuned. Actually, I think they did, albeit not as much as they should have. While I focused on just one question, you might want to check out the newspaper coverage from The Daily Press, The Washington Post or The Richmond Times-Dispatch. Between them, I think you’ll get a better sense of the debate. I’m not a reporter.